As a key component of mechanical equipment, the proper selection and maintenance of bearings is important for maintaining efficient operation, especially when the machine is operating under harsh conditions. The working environment in the mining industry is a typical one – extreme factors such as contaminants and vibrations in this environment, which are highly demanding for both bearing and power transmission reliability. For longer bearing life, higher equipment productivity and lower overall cost of ownership, it is important to choose the right bearings and give ta enough "care". Bearings on machines that are installed in harsh environments or heavy workloads often have special requirements for their structure, material, internal clearance, and installation. 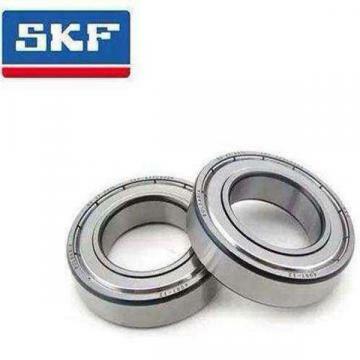 Factors affecting the bearing selection include operating temperature, temperature change rate, potential pollutant type and pollution level, working speed and acceleration, vibration, etc. Proper installation following the guidance of the bearing manufacturer is the first step to ensure a longer service life of the bearing. Proper lubrication plays a very important role in ensuring the bearing performance. The type of lubricant, cleanliness, filling amount and filling cycle are all aspects to be considered. Choosing the right base oil viscosity can maintain effective oil film isolation, prevent abrasion and surface damage. Lubricants can also reduce operating temperatures and minimize the impact of contaminants. 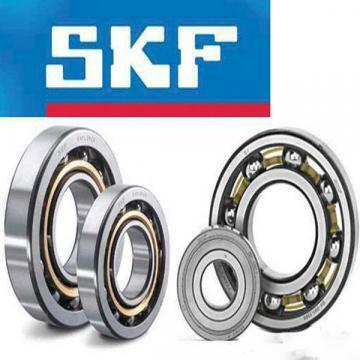 Even a small amount of debris can damage the oil film, causing damage to the bearing surface and reducing the bearing's effective service life. It is therefore essential to control the cleanliness of the lubrication system. This includes the cleaning of the reservoir, the central oil tank, the piping, and the junction. Conditions permitting, the daily collection and testing of lubricant or grease samples is established to verify the lubricating properties and contaminant content. If the bearing and other components are operating in a harsh environment, their service life will be very limited even in well-maintained equipment. Many predictive methods can then help to derive performance trends and improve diagnostic capabilities, and if these methods are used correctly, they will also help plan or avoid downtime. The best maintenance plan is to record bearing performance and predict bearing performance trends by combining installation, lubrication, and predictive data. Equipment performance, assembly requirements, lubrication systems, shaft orientation, and other parameters are important factors to consider during the seal selection process. The use of seals that are suitable for environmental conditions and machine operating conditions, the installation of external enclosures, and regular inspection of lip seal conditions are all helpful for the maintenance of seals. In the maintenance of equipment, safety is always the first place. This is especially true when handling or replacing heavy bearings or assemblies. Best practice methods are: Beware of easy gripping, careful handling of bearings and seat units, heating of bearings without direct contact with the flame, not using large hammers or other similar hard objects to strike bearings. It is proved by practice that the bearing unit with seat can effectively resist the polluted environment. Proper selection of bearing units with housings can shorten downtime, prolong service intervals and reduce overall cost of ownership. In the new Clydesdal coal mine of Exxaro company in Mpumalanga, South Africa, there was a continuous premature failure of bearings in a conveyor belt pulley position, and the use of spherical roller bearings in traditional split-seat bearing units was less than eight weeks, including base breakage, Sealing failure and frequent maintenance issues. In order to find a proper solution, the New Clydesdale mine bearing dealers are invited to provide advice to Timken. After examining the situation with the dealer and the mine's maintenance team, Timken concluded that the lack of strength of the bearing contaminants and the bearing unit base was a major problem. In the case of the new Clydesdale coal mine, Timken recommends replacing the previously used split unit with a one-piece, seat-aligning roller bearing unit and replacing the base material with cast iron for cast steel. This major change meets the requirements of the overall strength. Timken also recommends installation and maintenance methods and reduces their complexity. The use of integral Plummer block bearing units significantly reduces installation time: Each new bearing is installed in only 30 minutes, while under normal conditions, the split bearing before installation takes 1.5 hours, both of which create a sharp contrast. To avoid corrosion of exposed parts, Timken also recommends coating the base powder uncoated, spraying the black oxide layer on the mounting assembly and the additional protective cover. Nearly a year after the adoption and installation of Timken-recommended bearings, these bearings have been reliably operational and the maintenance frequency of the mines has been significantly reduced. The timken® integrated seat-aligning roller bearing unit is designed with high dynamic load ratings and anti-eccentricity timken® high-performance spherical roller bearings. The powder coating and black oxide coating as well as the cast steel base are standard configurations for these bearings. The bearing unit is filled with advanced grease and avoids grease leaks and significantly reduces the ingress of contaminants into the main seal and secondary seal. In addition, these bearings are designed with machined feet to allow for a one-time alignment of the pulley during installation, avoiding stress caused by misalignment of the bearing mounting or abnormal distortion of the base. Regardless of the application conditions, the machinery must be able to operate reliably, and rolling bearings as the basic components of most rotating equipment, must be able to withstand the various operating conditions from pollutants to vibration and other multiple threats. Users can follow the best practices described above for bearing selection, installation, lubrication and sealing, at the same time to develop a predictive maintenance plan, through the TA's full range of care and assistance equipment in challenging operating environment for continuous operation, for your stable production to provide inexhaustible power!